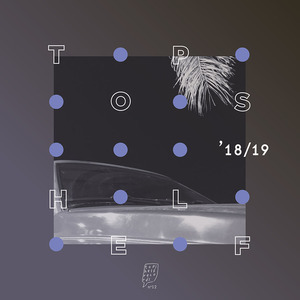 It’s safe to say that for indie-rock trio Doe, 2018 has seen a dramatic shift in their evolution as a band. 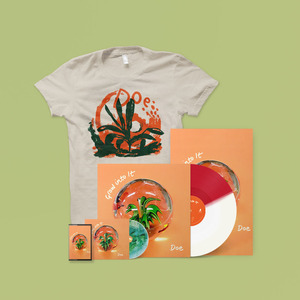 Since their critically acclaimed debut album, Some Things Last Longer than You that ABC News voted 6th in their 50 Best Albums of 2016 list, the London based outfit have played sold out shows on both sides of the Atlantic, wowed SXSW audiences and toured with the likes of LVL UP, Jeff Rosenstock and Honeyblood. They recently celebrated their fifth year together with a sold out headline show at London’s Paper Dress Vintage. 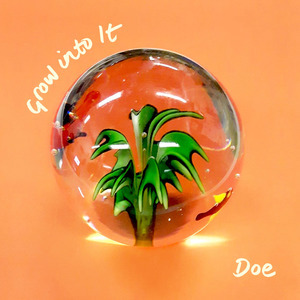 Not content with stopping there, Doe have now signed to renowned indie labels Big Scary Monsters and Topshelf Records to release their sophomore record – Grow into It, produced by Matthew Johnson (Hookworms, Suburban Home Studio) and released on 28th September. “Lyrically, I wanted to write an album about getting older that was an antithesis of the overdone trope of male bands singing about rejecting adulthood and wanting to stay young and get wasted with their friends forever. Instead, Grow into It is about finding light and freedom in age and finding autonomy in death. Embracing the theme that age is a challenging force, but ultimately positive: sonically the band have written something light and catchy that reinforces their pop sensibilities but ambitiously builds on the lyrical word-play, intertwining guitars and off kilter time signatures of their debut. Drawing on a much wider range of influences than the last record, from The Breeders through to The Cars, the band have been more playful in their compositions; still referencing their 90’s influenced roots but reaching wider to create something unmistakably classic sounding but irresistibly modern. 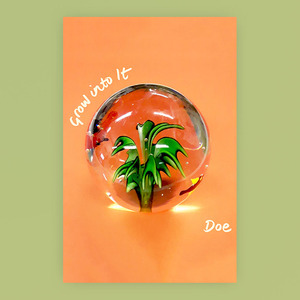 Doe’s evolution is showcased on the first single to be taken from the record—"Heated". One of the first tracks written for the album and already a live hit, the dynamism of the song excitingly ebbs and flows, with Nicola and Dean (Smithers – Guitar) riffing back and forth before a Pavement-esque crescendo that is collectively one of the band’s favourite parts of the record. 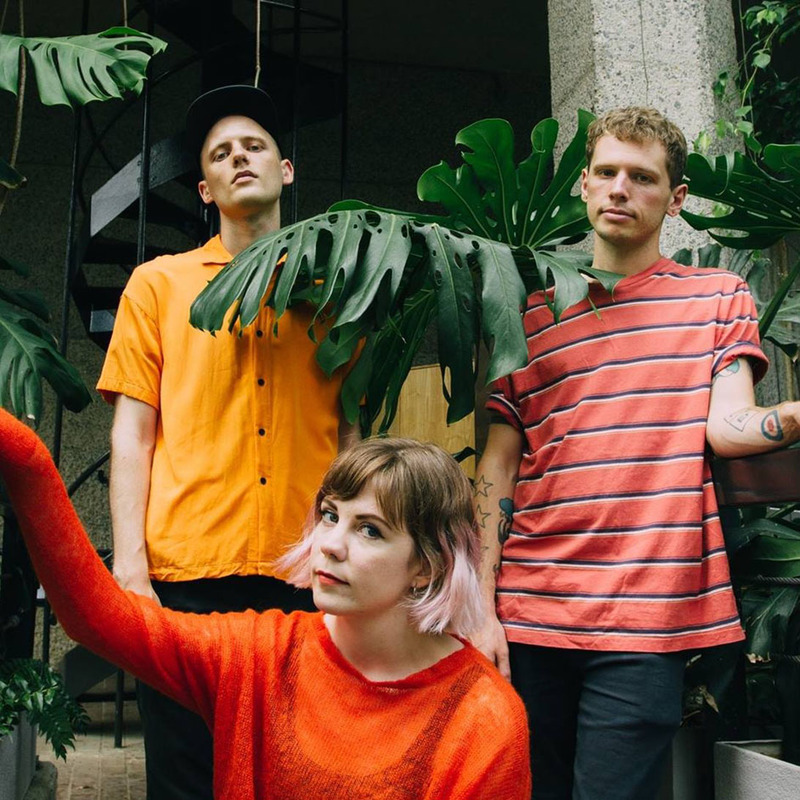 Ever the impressive live act, so much so that NPR once said ‘Doe makes snide exasperation sound like a party’, the latter half of 2018 not only sees the band make appearances at Truck Festival and The FEST in Gainesville, but they’ll also be touring the UK in October with Speedy Ortiz. sharp, heavy songs with undeniable hooks. off-kilter time signatures, screeching guitars and bold lyrics are delivered with the confidence of a band completely at ease with themselves.